Diane Lockie took these photos on 12 October 2010. 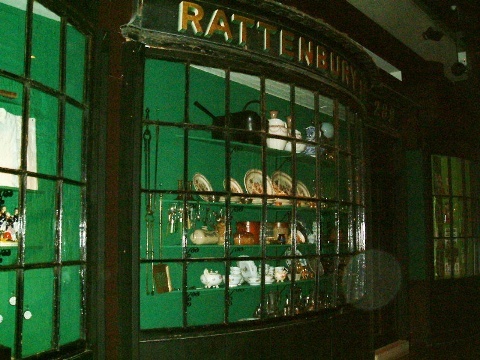 Following closure of Rattenburys in January 1968 the shop front was transferred to the Museum. The shop spanned numbers 288 and 289 High Street, and no. 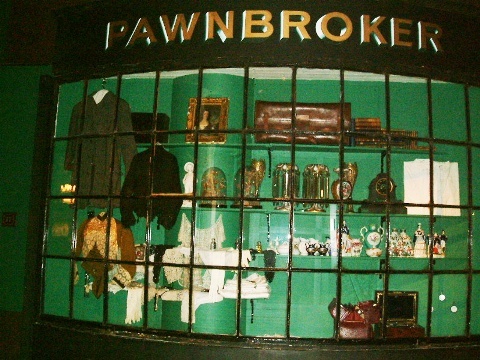 289 was used by pawnbrokers from 1839 (possibly earlier). This is no. 289, with the name 'Rattenbury' and '289' visible. The shop is mentioned in several people's memories. See a photo of Rattenbury's whilst it was still operating from the High Street in the 1960s.